As the mighty Exeter Chiefs secure their third Twickenham final in as many years I thought it appropriate to pour a cuppa and put pen to paper. I recently attended a networking group which Chris Bentley, formerly of the Exeter Chiefs, now a partner at Smithkin Baker and working with Air Marketing spoke about his experiences in rugby. When he finally hung up his boots in 2012, he continued on at the club for another 6 years working in the corporate team with local businesses, members and gold card holders. He has had the unique view of a player who came up through the club at championship, won promotion to the premiership and then continued his transition into the club’s corporate side. His whole talk was fascinating but one thing really stood out for me. Even with the amount I read, the amount of time I put into personal and leadership development, I still felt this was an absolute gem and one we can all learn from. 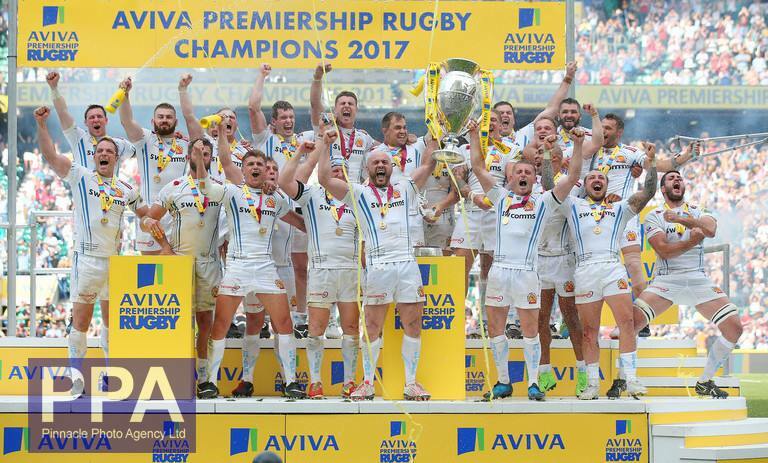 He recounted the story of Rob Baxter’s (chief’s director of rugby) mantra – don’t focus on the big goal, focus on the smaller incremental goals and celebrate them as they happen. Everyone talks about the big goal right? I want to be the best at…. the leader in… we are taught in business to aim for the stars but that leaves out the journey. Thinking big constantly can cloud your ability to see the path. Too many businesses aim for something big, forgetting the smaller wins and losses, the ones that happen day by day or in the Chief’s case, match by match. This same maxim applies to rugby as it does to many other things. The Chiefs goal is to win the Premiership but if we keep that at the forefront of our thoughts it can become a paralysing factor. When you are 10 points down with 20 minutes to play, winning the league in six months is a monster!! A better solution is to enjoy the process of getting there. If you have enjoyment suddenly the bigger challenges start to lessen. We did (and do this) by looking to find the fun along the way. Make a big tackle; celebrate! Win a turnover scrum; enjoy that moment! Score a try; everyone gets in and appreciates the moment! By looking for the little victories along the way the greater goal comes into sight and the knocks along the way become just that – knocks and not the cataclysmic events they may have been! By way of example I look at the first season in the Premiership and the first game with Gloucester. Nobody outside of Sandy Park backed a team promoted from the Championship to win the game yet, that’s what happened. Post-game the Gloucester coaches had a very public Spanish inquisition with a very public admonishment. They went on to lose three of the next four games and ultimately their director of rugby (Bryan Redpath) was replaced by the season end. On the flip side, later in the term the Chiefs beat Saracens at Vicarage Road in another upset victory and post-game the tone was completely different ‘well done to the Chiefs, they were better on the day so we’ll move on to next week’. Come end of season, Saracens were competing on all fronts and their head coach is still in situ! The big AH HA moment for me was to get back to celebrating the daily stuff with my team. Show my appreciation for the small wins and make them feel good for that too. Take time out to talk about the losses, minimise the ups and downs so the route to the greater goal is smoother. Still set the strategy but then put it aside and work on the journey. Thanks Bentos. I owe you a beer for that I’m sure.